The Law Office of Jeffery R. Jones, P.C. those who make the law. Specializing in Condominium Law, Association By-Laws, and Condominium Documents. Representing Sellers & Purchasers, Real Estate Documents, Zoning and Land Use. Corporate and Business Contracts, Drafting Documentation for Businesses, Michigan Trial Work Experience. Contract Law, Detailed and extensive trial work for Real Estate and Business law matters, Business Agreements. Representing Builders, Developers, Landlords and Tenants, Loan Negotiations, Drafting Documents, Closings. Representing Home Owners and Condominium Associations, Real Estate and Business Documents, HOA Legal Issues. 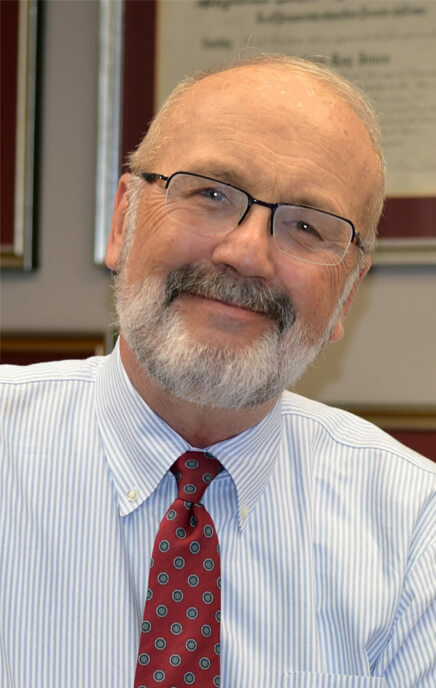 Jeffery R. Jones has over 40 years of experience as a practicing attorney. He has extensive experience in providing services related to all aspects of Condominium association operations and developer document creation & development, Commercial Real Estate Transactions, and many other aspects of Real Estate Law, together with General Business Law. He also has Michigan trial work experience in those described areas. At the Law Firm of Jeffery R. Jones, P.C., our experience in Condominium Law, Commercial Real Estate Law, Real Estate Law, and Business Law includes: representing builders, developers, landlords and tenants in commercial and residential real estate matters from acquisition of the property to and through governmental approvals and construction; assisting in real estate acquisition loan negotiations and closings for matters in the tens of thousands to the multi-million dollar range; drafting documentation for over 65 sets of condominium projects; representing over 75 homeowner's associations and condominium associations. Mr. Jones has been involved in detailed and extensive trial work for real estate and business/corporate law matters. He has drafted numerous real estate and business documents from the perceived benign "standard" documents to the exactingly specific documents. For ten years Mr. Jones has served on his home town Board of Zoning Appeals. We feel our understanding of the condominium, real estate development and construction industries, along with our extensive legal experience and skills, can provide you the highest quality legal representation and legal counsel. The firm is active in all parts of Michigan and the metro Detroit area counties, and extensively in Oakland County, Birmingham, Royal Oak, Bloomfield Hills, Troy, Farmington Hills, Southfield, Novi, Northville, Franklin, Commerce, Walled Lake, Ann Arbor & Detroit. Michigan news, articles, archives and resources for Condominium and Homeowners Associations . . .
Average Rates for Michigan, National Average Mortgage Rates, Michigan Housing Statistics . . .
Buying a Home, Selling a Home, Rentals, Mortgages and Loans . . .
Join our email list. Get useful tips and information. Your email address will not be sold or disclosed. Website Design & Marketing by Target Marketing Solutions, Inc.